The increase in European Community (EC) memberships and the steady evolution of the harmonization process means that international business opportunities are also on the rise. 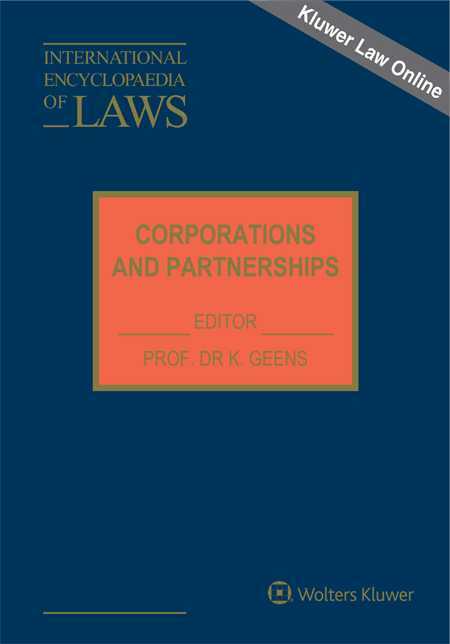 This convenient resource provides quick and easy guidance on a variety of corporate and partnership considerations that arise in international business, such as mergers, rights and duties of interested parties, stock exchange directives, labor laws, and takeovers. Corporations and Partnerships puts the information necessary for corporations to compete effectively in the shifting global market at the user's fingertips. Through updated supplements, this resource is able to address additional areas of concern as they arise, making it an important and practical tool for business executives and their legal counsel interested in engaging in an international partnership or embarking on corporate expansion into established or newly emerging markets. Part I: Corporations / Companies. 1. Big Corporation – Public Corporation – Share Company. Partnerships; Curriculum Vitae of the Editor.